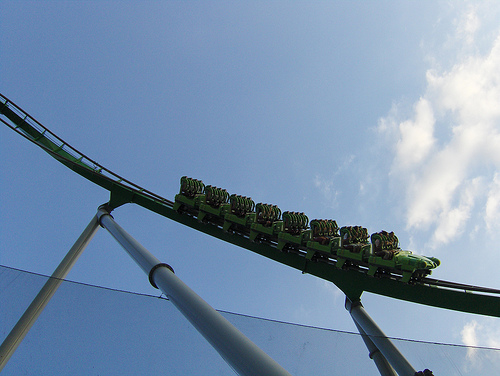 Is it safe to ride rollercoasters at amusement parks? Recent reports from the Los Angeles Times and ABC 7 News indicated that California rollercoaster rides recently led to the serious injuries of two visitors to a Santa Clara park, and the death of a third at a Six Flags theme park in Valencia. Thousands of people visit amusement parks each year, but do the thrill rides put us at serious risk of a life-threatening accident? Emergency responders airlifted Jasmine to Northridge Medical Center, and she was later transferred to Cedars-Sinai Medical Center. Jasmine died at Cedars-Sinai the day after she was found unconscious at the park. California state officials determined that Jasmine’s injuries weren’t “related to the operation of the ride,” and the park quickly reopened the looping roller coaster ride. However, following the girl’s death, Six Flags again closed the ride in order to re-investigate. According to the park, “there is no evidence to suggest that this was in any way ride related,” but Jasmine may have had a pre-existing condition. Since the park opened the ride almost 40 years ago, more than 45 million people have ridden it without incident. However, injuries are somewhat common on rollercoaster rides. Based on an analysis conducted by the Los Angeles Times that looked at about 2,000 accident reports between 2007 and 2012, about 16 percent of accident reports indicated that a park guest had suffered back or neck pain. Worse yet, about 12 percent of reported accidents cited head injuries. At theme parks, most injuries occur on rollercoasters and waterslides, with an average of about 350 injuries each year. In the wake of Jasmine’s death, two people at Santa Clara’s Great America amusement park suffered injuries on a rollercoaster. As the Flight Deck rollercoaster was coming back into the station, a park employee sustained traumatic injuries when he was struck by the train, according to an ABC 7 report. Witnesses indicated that the worker “stepped into the path of the rollercoaster while trying to retrieve a rider’s cellphone.” At the same time, one of the guests on the rollercoaster reported a serious hand injury and was taken to the hospital for evaluation. Due to the serious nature of the incidents, the theme park closed the rollercoaster in order to complete an investigation. News of the injuries brought back memories of a 1998 incident at the park in which a guest suffered fatal injuries from the Top Gun rollercoaster. While a day at an amusement park can sound like a great summer activity, theme park rides can also pose serious risks of injury. If you or your child sustained an injury at an amusement park, you should discuss your case with an experienced San Diego accident lawyer. You may be eligible to file a claim for compensation. Are Southern California County Fairs Safe?